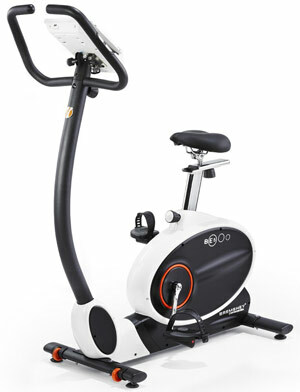 Is The Bremshey BE5i Upright Exercise Bike Too Focused On Gadgets To Be Beneficial? The Bremshey BE5i Upright Exercise Bike is a well-designed exercise bike with the key selling point of connectivity to tablets on Android or iOS to provide a different approach to training. A 9kg flywheel is not the heaviest in the world and there is a lot of focus in the product descriptions on the display, programming and connectivity for the iConsle over the other components: does this mean that this is more of a fun, casual piece of equipment than the source of a beneficial workout?